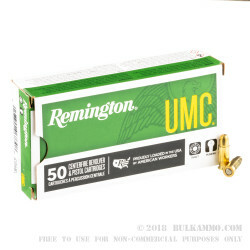 Remington’s UMC division makes quality cartridges that you can afford to run through a pistol all day. 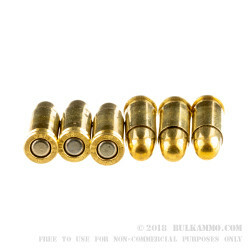 That means this 25 ACP round is poised to keep your aim sharp, and you’ll still have some money left over for some good self-defense ammo after the fact. 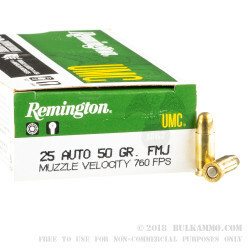 This round’s 50 grain projectile sports a “metal case.” That’s Remington’s own marketing term for what anyone else would call a full metal jacket. As such this round’s bullet will make it from magazine to chamber without a hitch, and it’ll spare your pistol’s bore from rapid lead fouling. The metal case is evenly laid out to complement straight shooting as well. UMC’s brass casing represents the height of what a full-powered industrial process can yield, with sturdy, uniform walls. 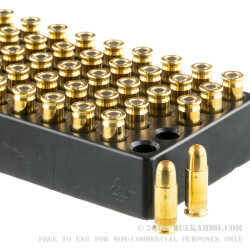 It’s a great handloading component after you’ve fired it. This round further features clean and fast burning propellant, as well as Remington’s own Kleanbore primer which significantly reduces residue buildup in the chamber.